The Apache Flex project, the all-volunteer group of developers, and stakeholders in the development framework, today announced the release of Apache Flex 4.11.0. This release makes some important improvements over previous versions of Apache Flex and Adobe Flex including new and improved components and performance enhancements. What’s new in Apache Flex v4.11.0? The Apache Flex 4.11.0 SDK allows application developers to build expressive web and mobile applications using MXML for layout and ActionScript 3, an ECMAScript based language for client-side scripting. The Apache Flex 4.11.0 release contains many improvements that professional software development teams will appreciate. This advances the framework forward. It is truly one of the best cross-platform programming languages used to write applications that are testable and can be compiled to run on multiple technology platforms from a single set of code. 120 and 640 dpi mobile resolution/skin support, fixes to 480dpi skins. mx:AdvancedDataGrid and mx:DataGrid speed improvements. Added column sort type access to the datagrid columns in mx:Datagrid, s:Datagrid, and mx:AdvancedDataGrid. Able to easily change mx:AdvancedDataGrid row and column item renderer spanning. s:DataGridEditor will now be visible in ASDocs and be visible in the Tag inspector. Minor changes to make SDK compile with Falcon compiler. Added access to imageDecodingPolicy in BitmapImage. New experimental mobile spark datagrid. Renamed experimental supportClazzes package to be supportClasses. Mobile Callout moved to spark and can be used in Desktop and Browser apps. Support for [Experimental] metadata tag. When downloading from a mirror site, please remember to verify the downloads using signatures or MD5 hashes. Headed by a group of volunteers, the Apache Flex Project announced their latest version of the Flash-based Flex framework, formerly created by Macromedia and Adobe before being accepted into Apache’s open-source incubation program. Support for latest versions of Flash Player and AIR runtimes. At the same time, we have made it easier for developers wanting to take advantage of the latest advances in the Flash runtimes by letting them choose the versions during installation. The Apache Flex SDK Installer now allows developers to select various combinations of the Flex SDK, Flash Player and AIR runtimes. All the settings and configurations are taken care of during the installation, so the developer can just start coding! Improved support for older Flash Player versions. Enterprise environments have more stringent requirement in terms of upgrading Flash Player versions. Now, because of our improved backwards compatibility, those customers can safely upgrade to the latest version of the Flex SDK without having to force a Flash Player upgrade on their end users. Added over 15 new Spark components matching or replacing their mx counterparts. The new components ensure that SDK users can benefit from the advances made in the Spark architecture throughout more of the development process. “Out of the box” support for Advanced Telemetry allowing developers to easily profile their application and improve performance using Adobe Scout. Better localization for multiple languages. Flex 4.10.0 is better now when trying to make application for multiple countries and languages. Better international support for dates in formatters, validators, and the DateField and DateChooser components. 480 dpi mobile resolution/skin support means that Flex SDK users can now target high resolution devices such as iOS Retina, etc. Congratulations to the entire team for pushing Apache Flex to yet another version. We can’t wait to see what’s ahead. Interviewer: So, you’re a carpenter, are you? Carpenter: That’s right, that’s what I do. Interviewer: How long have you been doing it? Interviewer: Great, that’s good. Now, I have a few technical questions to ask you to see if you’re a fit for our team. OK? Carpenter: Sure, that’d be fine. Interviewer: Six months? Well, we were looking for someone with a lot more brown experience, but let me ask you some more questions. Carpenter: Well, OK, but paint is paint, you know. Interviewer: Yes, well. What about walnut? Interviewer: Have you worked much with walnut? Carpenter: Sure, walnut, pine, oak, mahogany — you name it. Interviewer: But how many years of walnut do you have? Carpenter: Gosh, I really don’t know — was I supposed to be counting the walnut? Interviewer: Well, estimate for me. Carpenter: OK, I’d say I have a year and a half of walnut. Interviewer: Would you say you’re an entry level walnut guy or a walnut guru? Carpenter: A walnut guru? What’s a walnut guru? Sure, I’ve used walnut. Interviewer: But you’re not a walnut guru? Interviewer: Yes, yes, but we’re using Walnut, is that OK? Carpenter: Walnut is fine! Whatever you want. I’m a carpenter. Interviewer: What about black walnut? Interviewer: Well we’ve had some walnut carpenters in here, but come to find out they weren’t black walnut carpenters. Do you have black walnut experience? Carpenter: Sure, a little. It’d be good to have more for my resume, I suppose. Interviewer: OK, one more thing for today. We’re using Rock 5.1 to bang nails with. Have you used Rock 5.1? Carpenter: [Turning white…] Well, I know a lot of carpenters are starting to use rocks to bang nails with since Craftsman bought a quarry, but you know, to be honest I’ve had more luck with my nail gun Or a hammer, for that matter. I find I hit my fingers too much with the rock, and my other hand hurts because the rock is so big. Interviewer: But other companies are using rocks. Are you saying rocks don’t work? Carpenter: No, I’m not saying rocks don’t work, exactly, it’s just that I think nail guns work better. Interviewer: Well, our architects have all started using rocks, and they like it. Carpenter: Well, sure they do, but I bang nails all day, and — well, look, I need the work, so I’m definitely willing to use rocks if you want. I try to keep an open mind. Interviewer: OK, well we have a few other candidates we’re looking at, so we’ll let you know. Carpenter: Well, thanks for your time. I enjoyed meeting you. Carpenter: Hello. Remember me, I’m the carpenter you interviewed for the black walnut job. Just wanted to touch base to see if you’ve made a decision. Interviewer: Actually, we have. We liked your experience overall, but we decided to go with someone who has done a lot of work with brown. Carpenter: Really, is that it? So I lost the job because I didn’t have enough brown? Interviewer: Well, it was partly that, but partly we got the other fellow a lot cheaper. Carpenter: Really — how much experience does he have? Interviewer: Well, he’s not really a carpenter, he’s a car salesman — but he’s sold a lot of brown cars and he’s worked with walnut interiors. 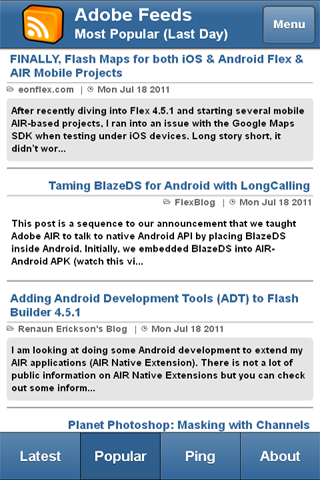 The original Apache Flex page was dull and boring. They’ve recently added a lot more pizzazz and sparkle…very nice! Apache Flex is an application framework for easily building Flash-based applications for mobile devices, the browser and desktop. On the 31th of December, 2011, the Apache Software Foundation has accepted the Flex SDK into incubation. Apache Flex is now a community project managed by Apache (ASF). The Apache Flex team is pleased to offer this ‘parity’ release, available as of 7/19/2012. This is the first available Flex SDK under the Apache Licensing model, and is designed to be compatible with the Adobe Flex SDK version 4.6.0. Flex Mobile Social Networking App “Xuland” is LIVE in Android Market! A couple of years ago I started working on a Flex 4 powered social networking application called Xuland. It was a web-based app that had the look and feel of Facebook with geo-location abilities (based on IP). Essentially, you could change the on-screen map to any location in the world (or it would discover your current location) and you could read or post comments to that area. It was a nice idea…but ultimately didn’t work. During creation, Apple and Adobe had their infamous falling out and the world moved to a mobile stage. Now Flash on mobile has been deprecated by Adobe and Flex itself has been accepted into Apache’s incubation process. 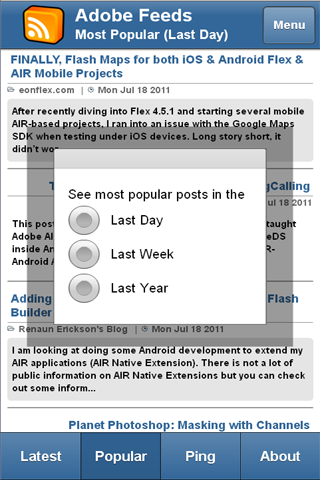 It seems that the days of considering Flex for general public consumption as a web-based application were gone. I opted to pick up the pieces of Xuland and re-assemble them into an AIR-powered mobile application with a different objective: find a way to make it easier for folks to make friends. Facebook and Twitter are great vehicles for announcing your current status to your family, friends, fans or followers. But they do little to strike new connections between people. Xuland attempts to place more importance on a person’s profile. It is through the profile that you can find common similarities in passions, occupations, religion and so forth. 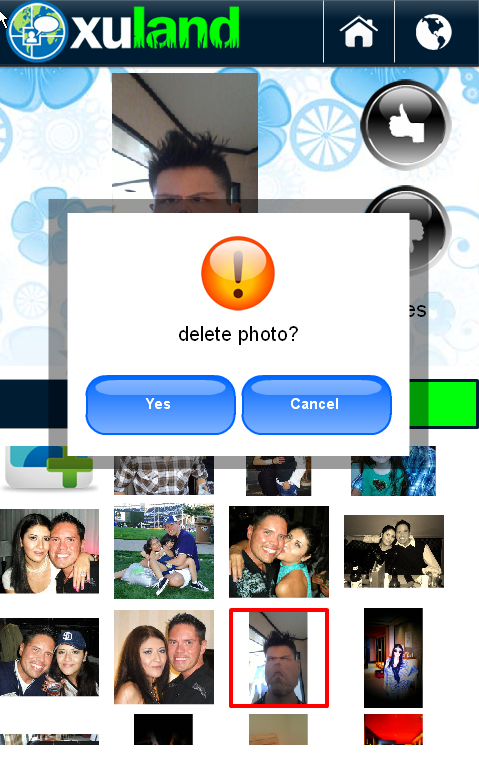 Xuland allows you to ask anonymous questions, request that folks “guess” your age or other personal attributes. Xuland tries to ease the connection-making process to allow new friendships to strike without odd winks, pokes, virtual gifts or other gimmicks. The iOS version (using the same code-based) has been submitted to Apple and is currently waiting review. I had to fabricate some test data and accounts to ease the review process and will remove those soon. Any feedback on the app in general, the concept, appearance or performance is appreciated of course. I rely on the Flex community and have done so for years. Recommendations or questions are welcome! 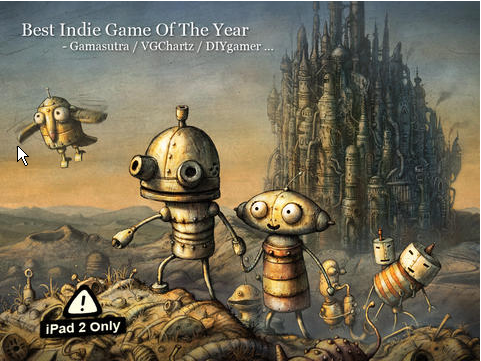 I’ll post another article once the iOS version has made its way to the Apple App Store. Until then, happy Xulanding! Good luck to any of you who entered the contest. I can’t wait to see which one was chosen! Apache Flex needs a new logo! For many of us, we’re not surprised, although many were. The Flash plugin on mobile browsers has always been an up-hill battle. With Apple and Microsoft’s decision not to support the Flash mobile plugin, the sheer number of emerging mobile devices (with browsers) to support and the wide adoption of HTML5 for mobile browsing animations and effects – it seems this is a timely decision. It would have been nice to continue to see support, but times change. How this will affect the Flash plugin on desktop browsers remains to be seen. The fast rise and popularity of Adobe AIR has give Flash a new life. AIR is now supported on the PC, Mac, Android, iPad/iPhone, BlackBerry, Amazon’s Kindle Fire, B&N’s NOOK, and Sony mobile devices – amongst others. Platforms that we’d never thought would support Flash now do (like televisions, cars and even alarm clocks)…with more devices to come. It’s the best option there is for deploying games or applications from one single code source to multiple platforms. This is a step in the evolution of Flash towards amazing GPU-based 3D gaming (which we saw at Max from the Angry Birds and Unreal makers) and Enterprise-level dashboards and RIA’s and away from annoying banner ads. 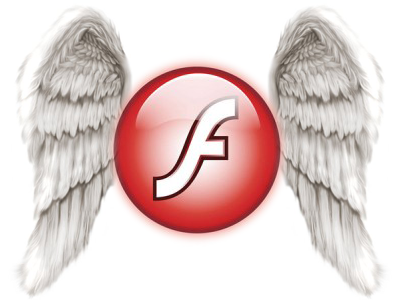 Although Flash “on mobile” is officially dead, Flash in essence will have been resurrected through Adobe AIR. I’m anxious to see what Flash 12 brings us as it will help bridge the gap between HTML5 and Flash. Adobe MAX 2011 “Sneak Peek” Sessions Now Online in HD! At the end of the second day of sessions at the Adobe MAX 2011 conference in Los Angeles, Adobe holds their annual Awards and Sneak Peeks gathering inside the huge Nokia Theater. This year Rainn Wilson from NBC’s “The Office” emceed the awards and afterward sat on-stage in a make-shift office complete with desks and leather (or vinyl) chairs alongside Greg Demichillie (Senior Director of Product Management, Developer Tools at Adobe Systems). The entire show was fantastic. Rainn was on-point and delivered witty one-liners throughout like a veteran comic. But I have to say he was quieted down considerably once Greg, with the help of Adobe’s own engineers, showcased new features that may (or may not) get released in future versions of their products. You truly have to see it to believe it. Adobe Systems Incorporated today posted videos of the technology “sneak peeks” that were showcased recently at the company’s annual MAX user conference in Los Angeles. Included in the videos is the image deblurring technology, demonstrated in an on-stage demo by Adobe senior research scientist Jue Wang, which has become an Internet sensation. – GPU Parallelism — using a device’s graphic processing unit (GPU) to accelerate performance of general purpose computing. Adobe is changing the world through digital experiences. For more information, visit www.adobe.com . (C) 2011 Adobe Systems Incorporated. All rights reserved. Adobe and the Adobe logo are either registered trademarks or trademarks of Adobe Systems Incorporated in the United States and/or other countries. All other trademarks are the property of their respective owners. “Few in the technology press have picked up on and correctly reported about this workflow that allows Flash developers to target Apple’s popular iOS devices. Adobe has decided to close the doors of both InMarket and the Adobe AIR Marketplace. Unfortunately, I have noticed at least one site claim this to be “another win for Apple” (undoubtedly from a fanboy). I’m not sure I understand how much Apple has to gain over this decision or whether they were aware such a marketplace ever existed. This sounds more like Adobe is giving the nod to the more popular app-stores that have already defined their place in the world of commerce, namely the Apple App Store, Android Market, BlackBerry App World, Intel AppUp center, Samsung Apps, and Toshiba App Place. Adobe Feeds now has it’s own mobile app! This was a two-day project that I started mostly as a way to learn the process of deploying an Adobe AIR app written in Flex 4.5 to Android and iOS devices. 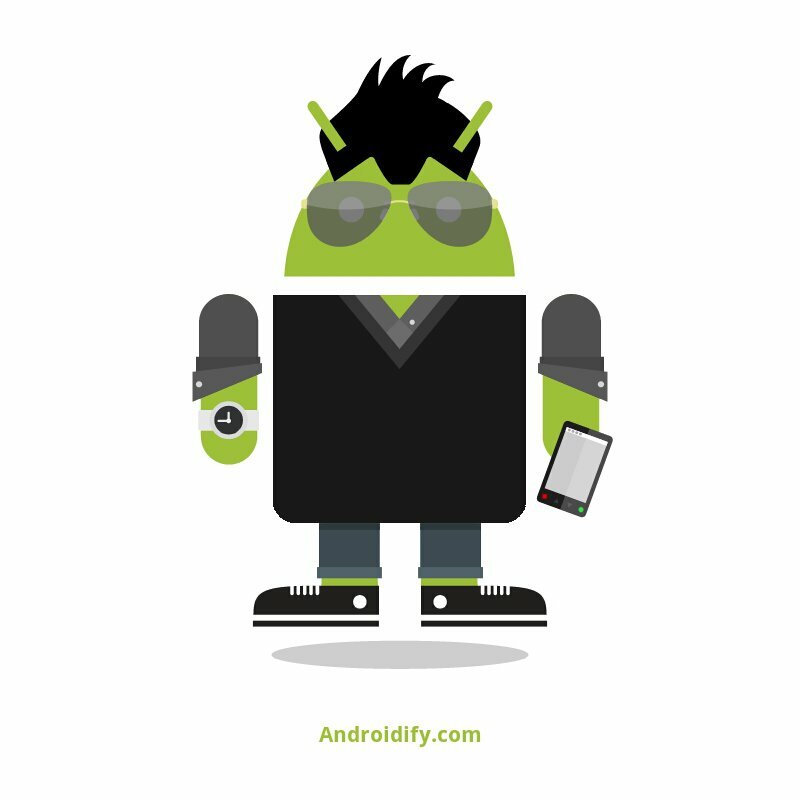 This app is now available on the Android Market, with iOS and Blackberry versions coming soon. Once I figure out how to install an emulator on my PC and actually upload the app to Apple for approval, I’ll post the link to that as well. Let me know if you have any comments or suggestions for the app. Enjoy! After recently diving into Flex 4.5.1 and starting several mobile AIR-based projects, I ran into an issue with the Google Maps SDK when testing under iOS devices. Long story short, it didn’t work. The Google Maps Flash API works great under Android when the mobile project is deployed as an AIR-based application, but when compiled through the PFI (Packager for iPhone) bundled into AIR 2.7 it simply doesn’t ever load. After a little investigation, the most likely cause was the fact that the Google Maps Flex API attempts to load external SWF’s at runtime from the Google map servers, which is strictly forbidden by Apple’s terms of service thus rendering this functionality completely disabled. This functionality works fine under Android devices and was actually a pleasure to use, however without iOS, the joy of working with Adobe’s new Flex 4.5.1 SDK quickly subsides and is replaced by frustration. Unfortunately, Flex cannot interact with StageWebView content making it very difficult for some apps to function normally as they would in a normal Flash-based SWF rendered through the browser. My own application, Xuland, which depends heavily on the Google Maps SDK required many changes before I could test it’s mobile-version on my iPad. I can get by with StageWebView, but I prefer a Map object that Flex can interact with directly, apply markers, dynamically zoom or geolocate, etc without having to re-load a URL from my external web-server. Follow me on Twitter for more Adobe Flex & AIR Mobile news and announcements. Here’s a long list of Android, iOS and Blackberry apps created using AIR for mobile that originates from a smaller list at http://swfhead.com/blog/?p=1416. This serves as an awesome example of the work and dedication made by Adobe engineers and Flash/Flex developers around the world that wish for a simpler way to develop and publish apps across multiple devices using the same codebase. • Resource: Blog post right here on eonflex! The long awaited update to FlashBuilder and the Flex SDK were released by Adobe last night. Previously with FlashBuilder and Flex 4.5.0, you could export Flex applications to Android devices and ActionScript-based projects to iOS. Now with the 4.5.1 update, you can export all apps to any of the platforms: iPhone, iPad, Android & the new BlackBerry Playbook. This is a gigantic leap forward to allow developers to implement the “write-once, run-anywhere” ideology that has long been associated with the Flash platform. With Apple’s insistence on preventing Flash from being installed on iOS devices, Adobe has had to invent ways to circumvent those restrictions even going so far as creating a Flash-to-HTML5 conversion tool (“Wallaby”). With FlashBuilder 4.5.1, you can write easy-to-learn Flex XML combined with the power of ActionScript to product apps that can be approved into the Apple app-store, BlackBerry’s AppWorld and Android’s App Market. Adobe says that with Flash Builder and Flex 4.5, developers can now use one tool, one framework and one codebase to create applications that run on desktops as well as smartphones and tablets. Congrats Adobe on another victory! AIR 2.7 is now available! Although I am more interested in the Flash Builder 4.5 update that will allow me to export my Flex-powered mobile applications to iOS, we have to take babysteps. First up, Adobe AIR 2.7 must be released into the wild, which it has today! The most notable improvement is the dramatic increase in performance of Flex applications on iOS devices (4x faster in CPU mode). If anyone has seen Terry Paton’s Flash-based Meteor Storm (http://pixelpaton.com/?p=3475) running on an iPad, you were probably wondering how it played so well. Terry was given premature access to AIR 2.7. Without it, the game’s performance would have suffered immeasurably. Meteor Storm running on iOS from Terry Paton on Vimeo.